"Infinite Night" by Artemio Rodriguez. Earth, wind, fire and water inspire the Museum of Ventura County’s artists’ invitational entitled Between Heaven and Earth: Entre Cielo y Tierra, opening with a free public reception on Saturday, August 30, from 4:00 to 6:00 p.m. The exhibition runs August 30 through November 30. The new works, created specifically for the exhibition, interpret the elements found on Day of the Dead (Día de los Muertos) altars (ofrendas). Artists include Dianne Bennett of Ojai, Erika Carter of Santa Barbara, Emilia Garcia of Los Angeles (formerly of Piru), Maribel Hernandez of Ventura, Brecia Kralovic-Logan of Santa Barbara, Leslie McQuaide of Ventura, Luke Matjas of Pasadena (Assistant Professor at CSU Channel Islands), Alicia Morris Soto of Ventura, Keith Puccinelli of Ventura, Dave Rivas of Ventura, Teal Rowe of Ojai, Susan Seaberry of Oxnard, Manuel Unzueta of Santa Barbara, and Andrea Vargas-Mendoza of Santa Paula. 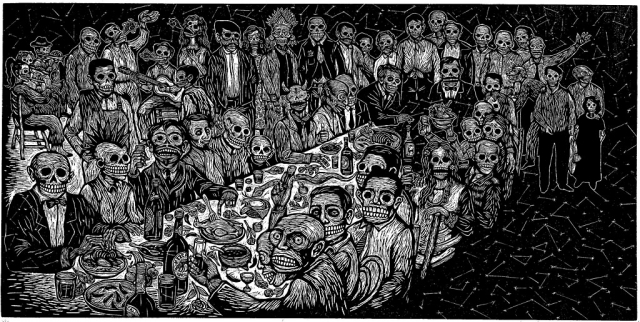 Also opening August 30 is Infinite Night, a selection of linocut and woodcut prints by internationally known Artemio Rodriguez, whose edgy and intricate black and white work is in the tradition of legendary Mexican printmaker José Guadalupe Posada. The Rodriguez exhibit runs through November 30. The Museum of Ventura County’s storefront location during renovation is 89 South California Street, near the corner of California and Santa Clara Streets in downtown Ventura. The museum is open Friday from 11 a.m. to 8 p.m., Tuesday through Thursday, Saturday and Sunday from 11 a.m. to 6 p.m. Free admission, except for some events. For information, please call (805) 653-0323 or go to http://www.venturamuseum.org. Merilee Allen’s exhibit, Prime Chroma will be at the Discovery Gallery from, September 4 to October 1, 2008 with an opening reception on Friday, September 5 from 5 – 7 pm. for First Friday’s Ventura. Inspired by life, Allen’s creations, whether they are oil, acrylic or mixed media are born from the muses which surround us everyday. It is the artist who stops to see the obvious delineation of a tree and it’s shadow or the interaction of light and space which help to define the two. Allen chooses assorted or multiple mediums to portray her images, a reminder of the diversity in nature as well as in our own personal experiences. The beginning of Allen’s art career was in New Jersey as a teacher and potter. 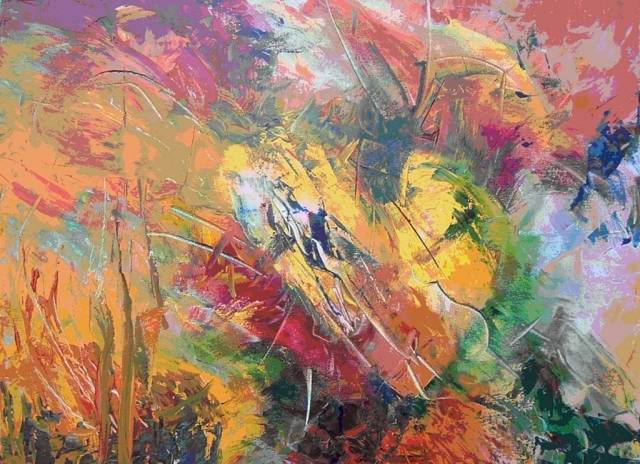 Allen has lived in the Ventura area for 25 years and continued her art education at Santa Barbara City College, Ventura College and CSU Channel Islands. Allen is a Board Member of the Buenaventura Art Association and currently works at the Ojai Valley School. One of her watercolors hangs in the chapel at Community Memorial Hospital This will be Allen’s first solo show and she will be celebrating a benchmark Birthday on the night of her opening! The Thousand Oaks Arts Commission announces the 20th Anniversary of the Excellence in the Arts Awards, and an Art Exhibition of 90 local artists on Sunday, August 17, 2008, in the Fred Kavli Theatre at the Thousand Oaks Civic Arts Plaza Performing Arts Center. A reception and short awards ceremony will be held on the Mezzanine Terrace from 5 – 7 p.m. The Excellence in the Arts Awards is an annual event honoring individuals and organizations that have contributed to the arts in Thousand Oaks as participants, supporters or leaders in the arts community. This year, the highest honor, the Encore Award, will be presented to Penny Lee and Julian Macdonald. Their contribution includes Penny’s service as Arts Council of the Conejo Valley historian and Julian’s Civic Arts Plaza Board of Governors service. Certificate Awards will be presented to Craig Morton on behalf of his contribution to the community’s visual artists; Stephen Custer, an L.A. Philharmonic professional cellist, who has performed for elderly and disabled people through the Healing Power of Music program; and, Frank Laguardia, a unique music teacher with the Conejo Valley Unified School District. Entertainment for the reception will be provided by Stephen Custer, cello, and Alan Roubik, piano. The program will also include a special acknowledgement, Fifty to Five. The Conejo Players will be recognized for 50 years of providing high quality community theatre, and the Thousand Oaks Arts Festival and City of Thousand Oaks for five years of programming. Chuck Estvan is bringing Santa Fe to Ventura! The “Powwow Images” exhibit will be at the Harbor Village Gallery in the Ventura Harbor Village from August 28 through September 28, 2008. An artist reception will be Sat, Sept 6 from 5 – 8 pm. In addition to Estvan’s work, a group exhibit titled “Feelin’ Groovy” will also be showing at the Harbor Village Gallery. Traditional Native American gatherings have inspired Estvan’s solo show. Vibrantly colored costumes and bold stylistic images focus on individual dances performed at the Powwows, such as the Buffalo Dance, Men’s Fancy Dance or Women’s Fancy Shawl Dance. Estvan’s paintings, figurines and his own patented kinetic art called “Cyclic Vision”, echo the deep history and culture and justly reflect the proud people for which he honors with art works. His subject matter is widely known in Southwestern regions such as Santa Fe, but is a great opportunity for Ventura to experience the dances of a lively performance and feel the friendship and pride Native Americans bring to the Powwow. “Powwow Images” will be Estvan’s first solo show with Buenaventura Art Association. The Harbor Village Gallery is located at 1591 Spinnaker Dr. Suite 117C in the Ventura Harbor Village. Gallery is open Mon, Wed & Fri from 12 – 5 and Fri thru Sun from 11 to 6 pm. For more information, call the gallery at 805-644-2750 or visit their website at www.harborvillagegallery.com. “Up, Down & All Around”, is photographer Gail Lansbury’s unique black-and-white photographic reflections: a vertical-horizontal vision of the world depicted through her camera lens. The exhibit runs from August 19 – Sept 13, 2008 with an artist reception on Saturday, August 23 from 4 – 7 pm. Lansbury’s hands-on construction and building background has clarified a linear vision of light and shadow, enabling her to experience the freedom of movement and curves not only through her eye, but also in her relationship with the camera. No surprise that this past year has been a busy one for Lansbury. Beginning with a solo event for the premiere opening of 643 A Project Space, she contributed to shows at the Civic Center as part of Celebrate the Earth festivities, multiple showings at the Buenaventura Santa Clara Gallery and the Harbor Gallery. She had a major showing in Upstairs at Diane Loring’s Historic Love House, along with contributing to the Ventura Art Walk, Photo Ventura, 94 Seaward and SCIART, on the campus of California State University Channel Islands. The California State Old Time Fiddlers Association, District 8, meet Sunday, August 10th, at 1:30 p.m., at the Oak View Community Center, 18 Valley Road, Oak View. Admission is free. All ages are encouraged to join the Fiddlers for an afternoon of family–oriented fun, old time music, and dancing. Refreshments are available. 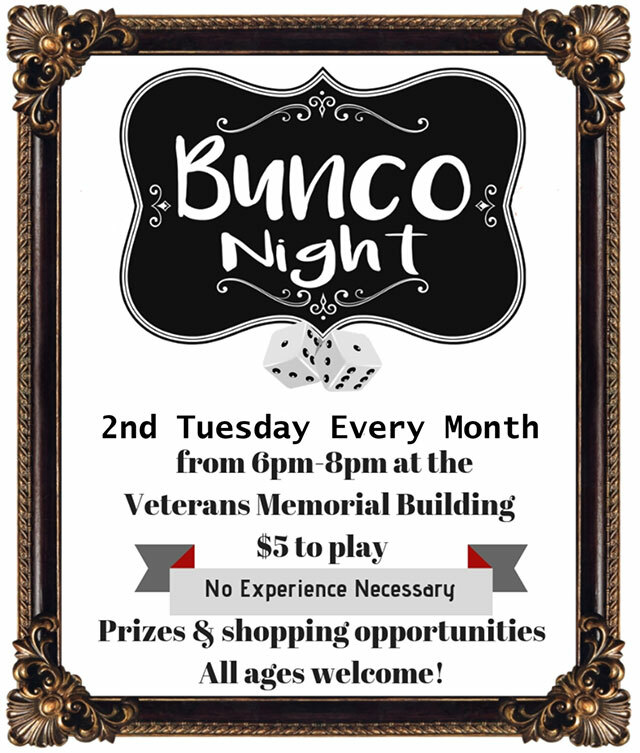 For further information call 517-1131. The Ojai Valley Museum’s first juried art show, OJAI CELEBRATES ART, is open to artists 18 years of age and older working in any gallery media. Cash awards will be given for first, second, and third place winners in the amounts of $300, $200 and $100. Awards sponsor, Shari Skinner, President of Ojai Community Bank, will present prizes at the opening reception on October 18. 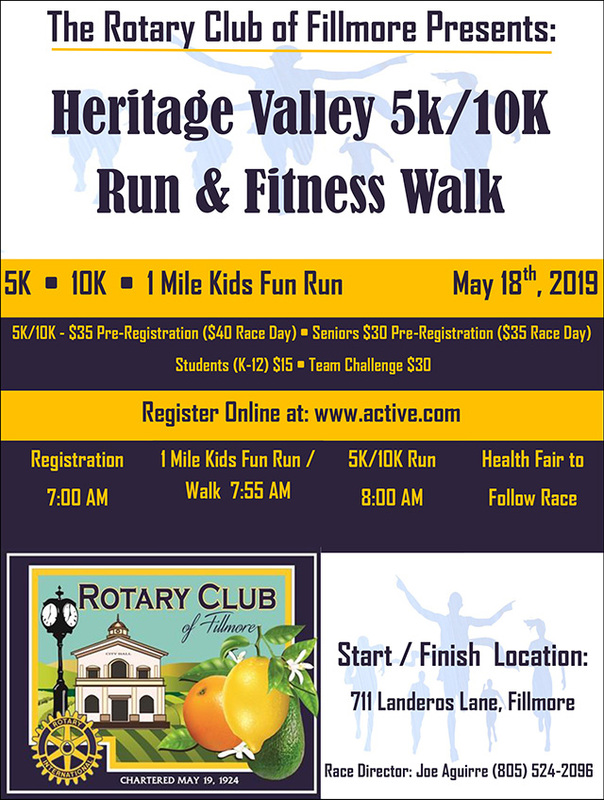 Entries must demonstrate some connection to the Ojai Valley, its people, history, or natural environment. The exhibit will run from October 18 to November 16, 2008. The selections for the exhibit will be made from prints, slides or digital media mailed to the museum by September 15. Go to www.ojaivalleymuseum.org and click on “Exhibits” for more information, submission instructions and the entry form. For questions contact this e-mail: ojaivalleymusem@ojai.net or telephone (805) 640-1390. The City of Ventura has asked us to help spread the word about a grant program they have this year for artists, including musicians. The City has $40,000 allocated for this fellowship program and all who either work or live in Ventura are not only welcome, but encouraged to apply. There is no fee. Where do you find an application, you ask? Well, we've placed an easily downloadable copy of both the guidelines and the application on our website at www.MAVRIC-Awards.com - you will find the info as part as our Breaking News on the Main Page as well as on the News page. This is a great opportunity for any musician who works or lives in Ventura County to receive what could be much needed funding to continue their music endeavors. I can't tell you how proud we are of the City of Ventura for reaching out to its artistic community in this and so many more great ways! Hurry, the deadline to have your applications in is by Monday, August 15th at 5:00pm. Good luck to all who are eligible to apply! 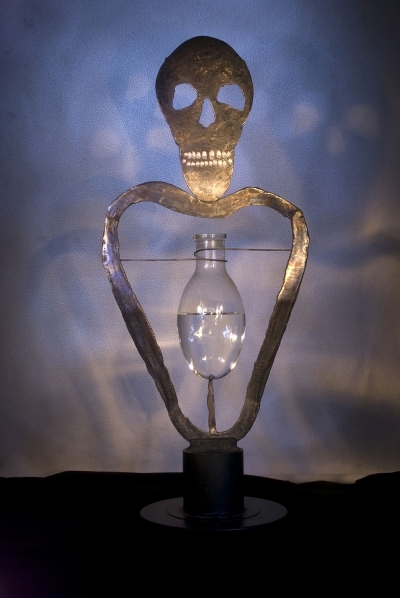 Kathryn Karson Frey’s exhibit, Salvaged From Life: An Exhibit Under Glass will be at the Discovery Gallery from August 1 – September 3, 2008 with an opening reception during First Friday Gallery Crawl on Friday, August 1 from 5 – 7 pm. Frey is a thirteen year resident of Ventura County and a native California from the Bay area. 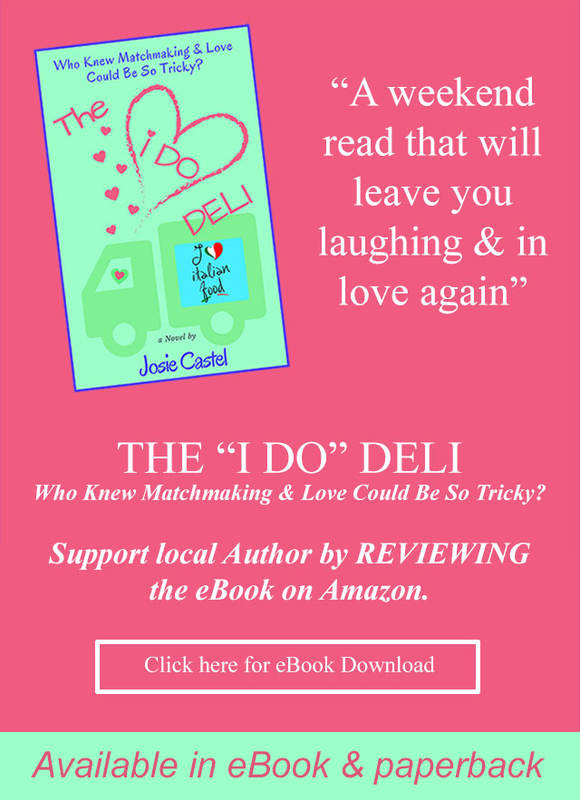 Her natural desire to create, sculpt, paint and draw was formed from her creative parents…even though she was told not to pursue arts because artists were a dime a dozen. She is mainly self-taught even though she took a couple of classes at Ventura College. The process of creating through artistic emotion is an absolute necessity in her life. 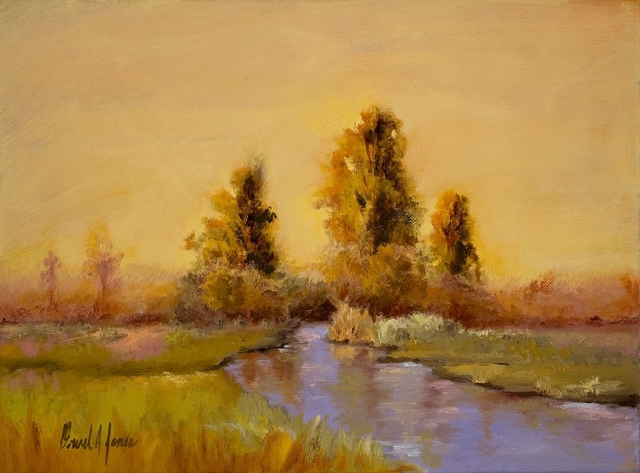 Her work has been extensively accepted and shown at the Ojai Art Center and Ventura County galleries. She has won several awards for her pieces. 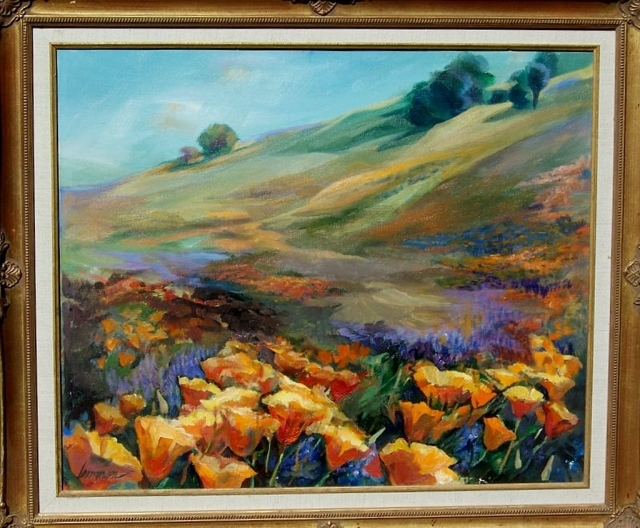 Just one of the paintings in the exhibit, "Poppies & Lupine" by Pat Lemmon. The Santa Paula Society of the Arts will be premiering an exemplary collection of paintings depicting the picturesque landscapes and stunning life forms of the Santa Clara Valley at the California Oil Museum (1001 E. Main St., Santa Paula, 805-933-0076, $4 Adults, $3 Seniors, $1 Children). The exhibit, entitled, “Heritage Valley Flora & and Fauna: 40th Anniversary”, offers an artist’s perception of the empyrean complexity of the natural world that flourishes in this quaint and edenic setting. Featuring the beautiful plants and animals of the area, the collection will remind you of why the Heritage Valley has been so highly regarded for centuries. Come enjoy the work of local artists as they take you to a singular time and place, far removed from the encroachment of modern society. The Santa Paula Society of the Arts was founded in 1968 with the intent of encouraging artistic growth and appreciation of art in all phases and furthering the development of artistry in the community. The opening reception for this exhibit will be held on Friday, August 1st from 4-6 pm at the California Oil Museum and will be accompanied by refreshments and fine art for sale. Exhibit Dates: August 1st, 2008. · The total solar eclipse taking place in the early morning hours (Pacific Daylight Time) of Friday, August 1, 2008. The total solar eclipse will not be visible from Los Angeles or anywhere in the United States. · New Hubble Space Telescope images. “All Space Considered” is a monthly program, launched last May that provides the public with an inside look at the most-talked-about subjects in astronomy, space science, and space exploration. The lectures are held on the first Friday of the month. WHEN: August’s “All Space Considered” will be held on Friday, August 1, at 7:30 p.m., P.D.T. WHERE: Griffith Observatory’s Leonard Nimoy Event Horizon theater (2800 East Observatory Road, Los Angeles, California 90027). TICKETS: The event is free and open to the public. Seating is first-come, first-served, up to the capacity of the theater. For more information, please visit www.GriffithObservatory.org or call (213) 473-0800. Griffith Observatory is owned and operated by the City of Los Angeles, Department of Recreation and Parks. The Observatory is located on the slope of Mount Hollywood in Griffith Park. The building is open to the public six days a week, with free parking and free admission. Free public telescope viewing is available every evening the Observatory is open and the sky is clear. The Goleta Valley Historical Society kicked off "Music at the Ranch" this past Tuesday, July 15TH. 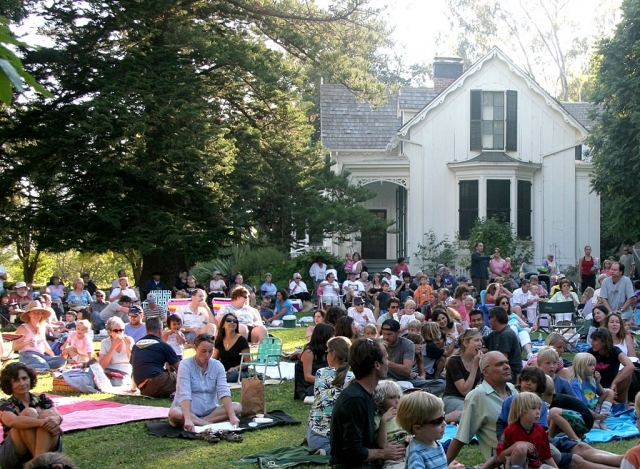 The free concerts series is held Tuesday evenings from 5:30 until 7:00ish , July 15Th -August 19Th in the gardens of Rancho La Patera and Stow House. melodies, invigorating rhythms, and virtuosic guitar performances. This Tuesday, July 22, the Zydeco Zippers will perform their New Orleans style jazz..
Fire.. We are excited to be open up to a wonderful free event following the fire that affected so many in Goleta . 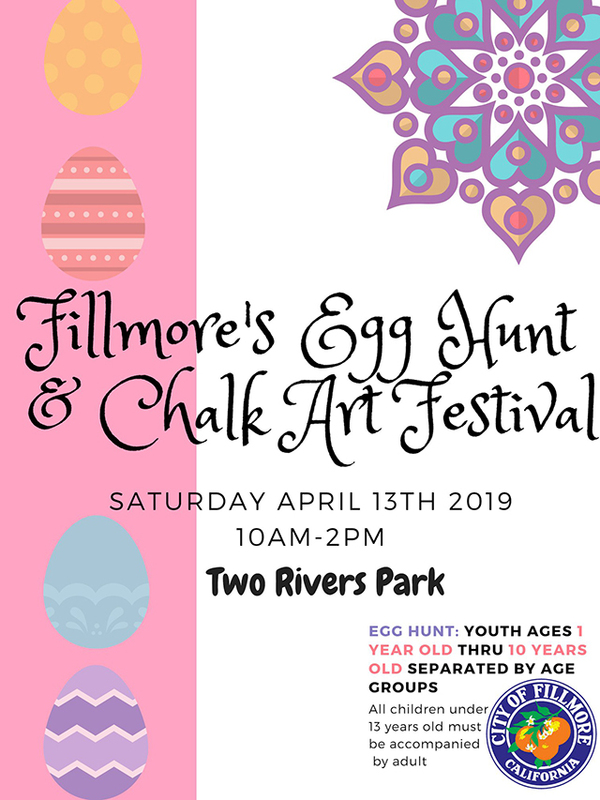 We hope the community will gather and celebrate the summer we are enjoying in this beautifully preserved landmark," says Dacia Harwood, event organizer. 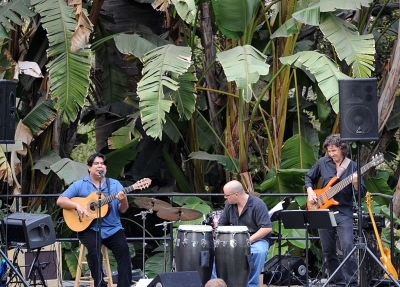 Music at the Ranch will feature some of the best local bands in Santa Barbara . Music will include Latin jazz, zydeco, bluegrass, reggae and rock. Prepared to be entertained by the Zydeco Zippers on July 22ND, Salt Martians on July 29Th, 5 Alarm on August 5Th, the Henderson Brothers on August 12Th, and Hot Lava: Rock Music For Kids and their parents on August 19Th. McCutcheon of ATK Space systems was in attendendance at the first concert to announce the band and to say, "We are proud to support Goleta in this beautiful place with the great unifier- music!" Rancho La Patera & Stow House are located at 304 N Los Carneros in Goleta. Goleta Valley Historical Society is committed to the education and preservation local and California ranch history. Our events reflect our purpose, "to become a unique historic gathering place for the community." 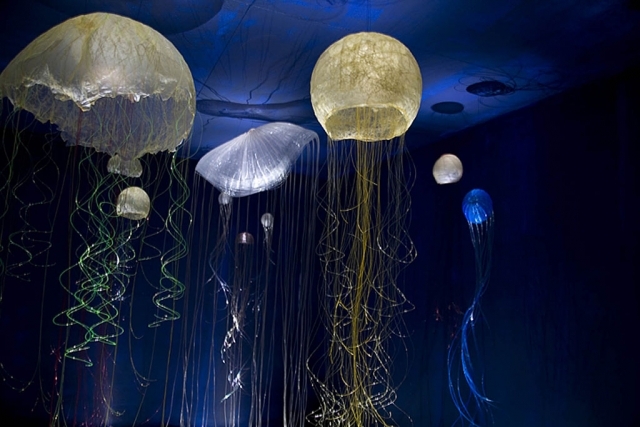 Gerri Johnson-McMillan’s installation, “Medusae (the jellies)” will be at the Harbor Village Gallery from July23 to August 24, 2008. The opening reception is on Friday, July 25 from 5 – 7 pm. Welcome to the deep ocean, where colored free forms of life float above you like spirits from another world. When entering the “room” Johnson-McMillan has created to view the Medusae, a scientific name for most jellyfish, you meander among her transparent and luminous forms hovering above you. Inspired by a snorkeling trip in the Sea of Cortez, Johnson-McMillan departed from her well known and equally intriguing fish bone vessels or baskets. After witnessing a school of jellyfish so dense she couldn’t swim through for fear of getting stung, she pondered how something so beautiful could be so painful. Johnson- McMillian’s Medusas (the jellies) offer an imaginary swim through the jellies with out getting stung. Inspired from nature, Johnson-McMillan has enjoyed the fiber arts since her youth and took her first basketry class at age 25. Today the ocean and what lies beneath is her inspiration. Well known for her intricate Fishbone Vessels, which will also be on display adjacent to the Jellyfish instillation, she weaves a second life back into the fish she and her husband have caught by combining bones and fishing line into small basket-like creations. 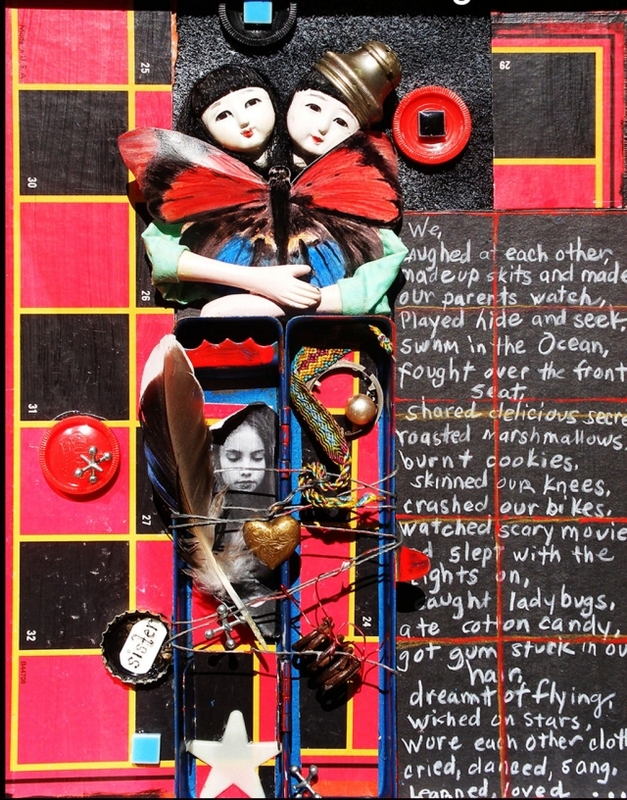 She has pieces in the permanent collections of the Long Beach Museum of Art as well as the Museum of Ventura County. Since 1999 Gerri has been an Artist-in-Residence at Studio Channel Islands Art Center in Camarillo, CA and in 2005 was President of SCIART. She was instrumental in developing the Fiber Art Studio at the Center. The Harbor Village Gallery is the second Gallery operated by the Buenaventura Art Association which is operating in its third year of business. This will be the Harbor Village Gallery’s first instillation. 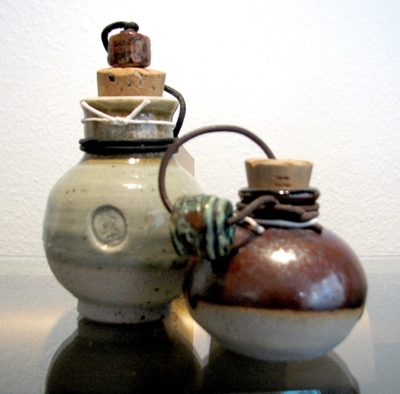 Miniature Stoneware Pots by Pete Gerard. 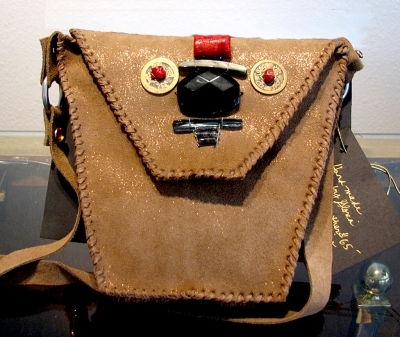 Suede Handbag with beaded embellishment by Gloria Rupio. The Buenaventura Art Association’s popular exhibit space, the Harbor Village Gallery, is expanding to include a select collection of artisan-crafted items in its new Artisan Store. All items are individually crafted by local artists and artisans and include ceramics, art glass, exceptional jewelry, one-of-a-kind apparel and accessories, home décor and limited edition digital art prints. Since 1954, the BAA has been an integral part of the Ventura County art scene. 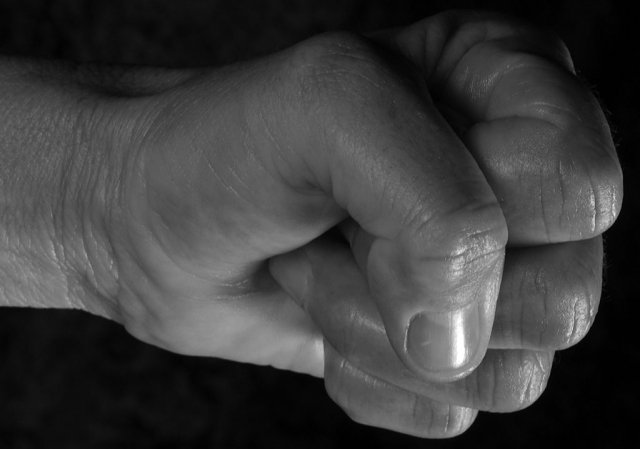 From the beginning, it has been a non-profit artist cooperative, offering venues for local artists of all stages of development to exhibit and sell art. It offers the viewing public monthly exhibits featuring individual solo artists, student artists, member group shows, and special events and fundraisers. The very popular “Who Got Framed?” fundraising event, which will be held in November, raises money for scholarships for local art students. BAA’s executive director, Christine Beirne, says “The Artisan Store, at the Harbor Village Gallery, offers our member artists an opportunity to showcase their versatility. Our multi-talented members often enjoy creating functional art, useful things that can truly enhance your dining table, decor or wardrobe.” In conjunction with this new space, the Harbor Village Gallery will be sponsoring a “Grand Re-Opening Event” on July 25-27, with very appealing discounts on unique merchandise, plus refreshments and drawings to win original creations. In addition, the event will feature “Art In Action”, on-site creation of pottery, charcoal portraits, jewelry and more. The Harbor Village Gallery and Artisan Store is located at 1591 Spinnaker Drive Suite 117C in Ventura’s Harbor Village shopping complex. Hours are Monday, Wednesday and Thursday from 12-5 pm and Friday thru Sunday 11-6 pm (closed Tuesdays). For more information, call the gallery at 805-644-2750 or visit their website at www.BuenaventuraGallery.org. (Ventura, CA) “Kids, Cameras, and Crops” Youth Photography Contest is now accepting entries. The contest, in its second year, is run by Ventura County 4-H and the Ventura County Fair and is looking forward to more great entries this year. The contest is open to Ventura County youth ages 9-18. “Kids, Cameras, and Crops” encourages youth to look at the agriculture around them in new and interesting ways. 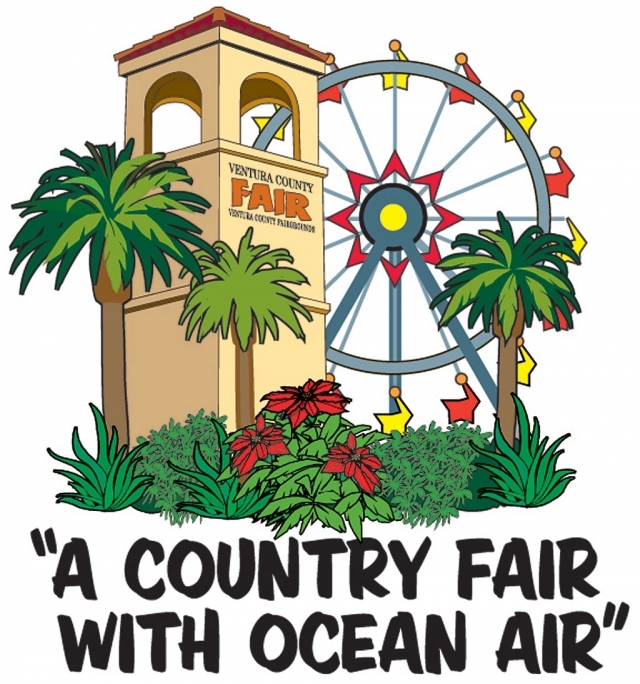 All entries will be showcased at this year’s Ventura County Fair, July 30-August 10. Entries must be received by July 18, 2008. Mail entries to “Kids, Cameras, and Crops” Photo Contest, Ventura County Fairgrounds, 10 West Harbor Blvd., Ventura, CA 93001 or hand-deliver entries to Ventura County 4-H Office, 669 County Square Drive, Suite 100, Ventura, CA 93003. For more information, please contact the Ventura County 4-H Office at (805) 662-6943. Soon the Ventura County Fairgrounds will be full of pies, jams, table settings, photographs, homegrown fruits and vegetables, sculptures, homemade wines and beers, aquariums, gem & mineral exhibits, rabbits, sheep, and many, many other Fair entries. Make sure the fruits of your labor are on display during the 133rd Annual Ventura County Fair by bringing your entries to the Fairgrounds on the upcoming Entry Weekend. With over 5,000 competitive exhibit categories, you are bound to find an exhibit to showcase your talents. There are trophies, ribbons, and over $175,000.00 in cash awards available. Make sure you check out the entry date for the Agriculture Dept.’s new scarecrow contest—cash prizes available in each class for a unique scarecrow. 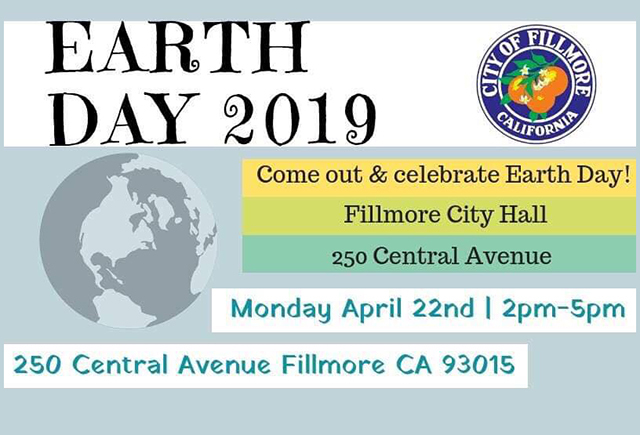 Don’t miss out on your chance to show Ventura County what you can do! Make sure to tell all your friends to “Meet you at the Fair” where they can oooh and aaah over your wonderful entries. For more information, please call (805) 648-3376. The deadline for Ventura County Visual Artists to enter the 5th Annual Thousand Oaks Arts Festival is July 28 at 5 p.m. The Festival is set for September 20 and 21, 2008, at Thousand Oaks Civic Arts Plaza, Mary and Richard Carpenter Plaza Park, 2100 Thousand Oaks Blvd., and will feature more than 70 visual arts exhibitors, live performances through-out both days, art demonstrations, and children’s interactive hands-on exhibits. Artist prospectus and application are available on the Festival website, www.toartsfestival.com or call the Festival’s Visual Arts Chair Craig Morton, 818-991-6158 to have one mailed or for more information. Artists who mail their applications by July 18 will pay only a $25 application fee and $225 booth fee. After July 18th, the fees increase to $40 for the application fee and $250 for booth space. Tables, chairs and canopy are provided for each booth. Festival admission is free for the public and hours are from 10 a.m. to 5 p.m. Artists are encouraged to set up on Friday, September 19th, between 1 and 4 p.m. Overnight security is provided. Shakespeare offering is the ever-delightful A Comedy of Errors. Shakespearean play, You Can’t Take it With You. canyon for 15 miles until you reach the village of Pine Mountain Club. When you’ve reached paradise, you’ve arrived. For Custom Packages please call for your selection on accommodations and activities, including but not limited to: Cabins, B&B, Hotel, horseback riding, tennis, swimming, golf, spa services, jeep adventures, restaurants, and other clubhouse activities. Other General activities include: hiking trails, sightseeing, bird watching, star gazing & shopping.